Spruce Creek, FL - The Spruce Creek Fly-In mansion of famous NASCAR driver, Mike Skinner has been sold this Thursday May 6th. The 10,000 square-foot home is located directly on the Spruce Creek Golf Course and features front row views of the fairways. One of the salient features of the home was Skinner's "Man Cave", a separate two-story building that houses a custom hand-carved bar billiard room, sitting areas and a $300,000 private theatre that features surround sound and live motion seats complete with popcorn machine and decorations of a 1950's era luxury theatre. The custom residence also features a wine cellar room with bar and a heated pool and spa complete with custom rock waterfall, 4-car garage and other amenities. The residential compound was originally listed for $2,275,000. Carlos Bravo, CEO of Karlhaus Realty at Spruce Creek represented the Buyer and negotiated the sale. "With the advent of internet technologies, today's high-end buyers are more sophisticated than ever , come well informed about values and benefits and deservedly demand professional expertise at levels never seen before in this business", Bravo said. Bravo, also a pilot and long time resident of the Spruce Creek Fly-in, added that "Spruce Creek is the most sought after residential airpark community in the world and offers a unique mixture of exclusivity, security and amenities not matched anywhere". Bravo is a serial technology entrepreneur and former Management Consultant and Fortune 500 Senior Executive with a long track record in negotiating multimillion dollar complex merger transactions. His previous internet company grew to 1,300 employees and went public in 1999. 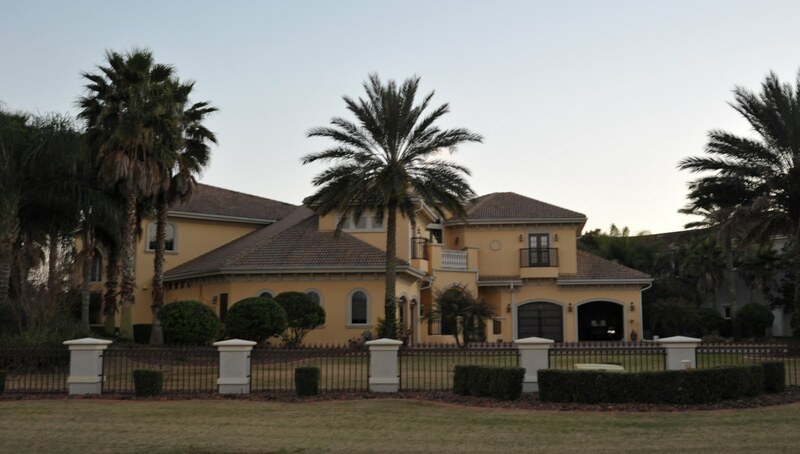 Mike and Angie Skinner recently purchased a Mountain Estate in North Carolina but will continue to maintain their main residence as well several businesses and long term investments in the Port Orange/Daytona Beach area, including Mike Skinner Enterprises and Mike Skinner Properties. The Skinners are widely known for their philanthropic activities and actively participate in various local charities and fundraisers. The Spruce Creek Fly-in Community is the world's most famous residential airpark. With a 4,000 ft lighted runway and a GPS approach, the private airport at the center of the community (7FL6) can accommodate anything from a Stearman to a Gulfstream. Originally a navy airfield during WWII, it evolved into the world's largest residential fly-in community. Today, almost 5,000 residents, 1,300 homes and 700 hangars share a unique life in this private gated village. The first thing a visitor sees after driving through the security gates is a sign that summarizes the spirit of this community: “Caution children and adults at play”. It is often called a piece of pilot's heaven. A championship golf course and Country Club and 24-hr patrolled security complements the safety, privacy and enjoyment of its residents. John Travolta and many other celebrities have enjoyed the Spruce Creek Fly-In lifestyle and privacy. Current home prices vary from a $140,000 condo to several million-dollar hangar mansions.